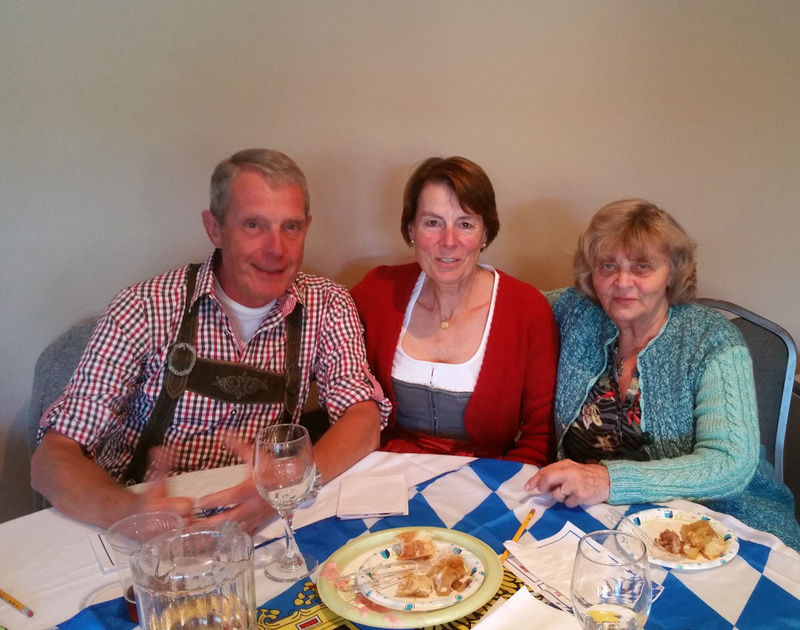 Rangeley Oktoberfest was sponsored by Rangeley Lakes Chamber of Commerce. RANGLELY — The annual Rangeley Oktoberfest Brat & Strudel Contest was held recently, sponsored by the Rangeley Lakes Chamber of Commerce and hosted by The Rangeley Inn and Tavern. 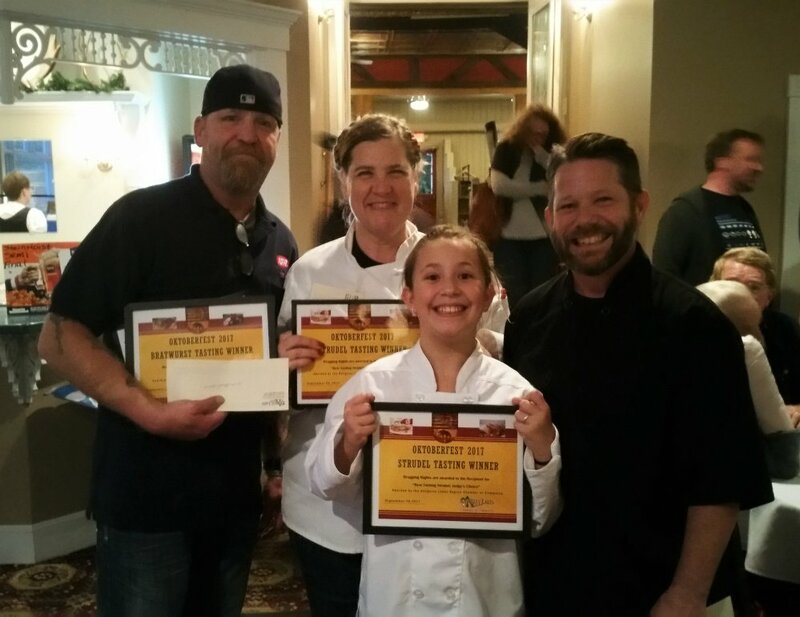 Local chefs prepared their best brat and strudel and their entries were judged by both a panel of expert judges (Klara Haines, Gerlinde Stretz and Hans Stretz) and a popular vote cast by the approximately 100 attendees. The winners were: Judges’ vote — brat, Rangeley IGA (Buzzy Jensen); strudel, Mountain Catering (Michael Flewelling); popular vote — brat, Rangeley IGA (Buzzy Jensen); strudel — Just Desserts (Ana Wetherill).